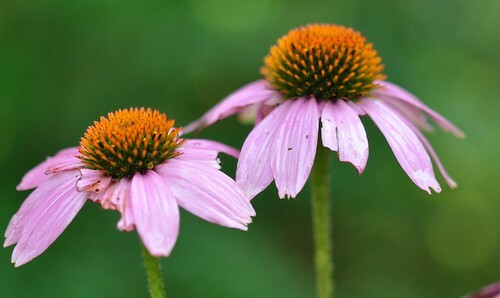 We had a lot of rain yesterday, so my coneflowers are a bit bedraggled. But imperfection can be photogenic too…. I think our culture is obsessed with perfection. Everyone on TV has to have perfect white teeth, perfect bodies, perfect hair. If you don’t conform, you don’t get hired. Like I said in my Stieg Larsson post, it was refreshing to see actors with flaws for a change. If Hollywood gets its wish, everyone will look like Pamela Anderson. Is the American way the only way when it comes to appearance and lifestyle? Do we really need McDonald’s and Starbucks in every corner? When I was younger and traveled a lot, foreign places looked unlike anything I’d ever seen. The people looked and dressed differently too. When I went back to Paris a few years ago, I was surprised to see that all the teenagers looked exactly like their American counterparts. The same jeans and torn t-shirts. When I travel, I want to experience something new. That’s why I travel. Has anyone seen the website and/or catalog Lexington? It’s a company based in Sweden, but there’s an American flavor running throughout. Models pose in front of an American flag while eating out of blue and white bowls; cowboy hats are hung from a rod over a canopy bed; the company logo itself consists of red and white stripes with “LEX ING TON” in white, on a blue background. I find this disconcerting. If the company is marketing towards a bigger audience like the U.S., then I guess they need to be relate-able. But can you imagine an American company using the Swedish flag and colors all throughout their advertising? It ain’t gonna happen. Imitation is a form of flattery and all that, but do we want everyone else to be just like us? I don’t. In a way, Lexington is selling the same American dream as Ralph Lauren, but to people in Norway, Sweden and Finland (the only places with Lexington stores so far). That dream world where everyone lives in the Hamptons, wears beautiful clothes and has tons of money. Sweden, do you really want to sell that? You have so much to offer already. Many Americans are crazy about your furniture and antiques. I hear your cities and towns are gorgeous. I truly hope that you and the rest of the world hang on to your unique heritage and look, because we have plenty of the Ralph Lauren image here already. If your plan is to market to Scandinavia only, then more power to you. 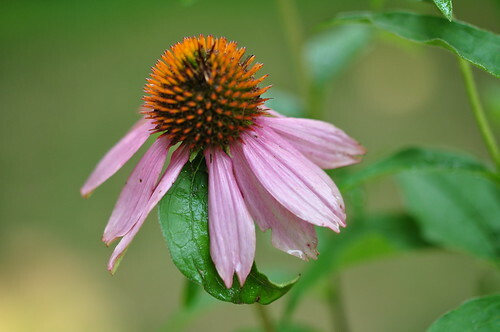 This entry was posted in beauty, flowers, photography and tagged coneflower, Echinacea, Lexington Company, non-conformity, Ralph Lauren, Sweden. Bookmark the permalink. Love this post and the thought behind it! Love your cone flowers. With those broken petals, it would be neat to get a shot looking down. The distinction between perfection and conformity is worth developing. The coneflowers are attractive exactly as they are; if one looks closely, s/he will find minor imperfections in the individual cones, as well as in the petals (those may not even be minor!). Perfect flowers would look to me more like they were crafted by computer — ugh. But no, no need for McDonalds and Starbucks on every corner. That’s omnipresence, which ought to be reserved for God. I know what you’re getting at in Hollywood requiring a certain kind of perfection, but perfection ain’t omnipresent even in Hollywood [think — Barbra Streisand’s or Dustin Hoffman’s respective noses]. The whole world imitates American things. It is because of TV, those American films, and also because of the music, the songs. It is sad and often destructive, because most of it is not made to last, but does destroy songs that were several centuries old both in text and melody. Both vanish. And since they rarelyr learn English, they can only pick up the melodies, but not the texts of the new songs that come from the US. So I think it is wrong to hope that the change is only superficial or represents in fact some kind of renewal.